Talking to a firm who have “someone in” to do their Twitter account. Result? 8 followers. Where’s the ROI on that? @NeilDenny depends .. how much have they invested in taking part in twitter. getting someone IN is like admitting , we dont care enough. Such was my recent Twitter exchange. I need to be careful as I have been invited IN to assist with a company’s Twitter on their behalf. However, what is crucial in doing that is that I let go off the Twitter account as soon as possible. If I give them a few tweets, that is completely meaningless and has close to zero value. Scratch that. It has NO value. However, if I can establish presence and momentum, then it seems to me that the company can see the point in tweeting and will want to maintain that conversation within their field. This is about more than followers of course. How many people are we communicating with? Is this bilateral or simply broadcasting. Are tweets being picked up and re-tweeted? We can reassure, inform and encourage, that is after all, how many of us got tweeting in the first place. Many companies and individuals will simply not get past those first breakers as they embark on their first tweeting expeditions. They have no context, no momentum and no presence and so simply abandon their newly launched Twitter accounts and head back for shore. I need to be careful what I say here. Okay. Some of you can probably see where this is going. Now go and read a few posts. You don’t need to read much more, they are all pretty similar. In many ways this is the model of blog writing. So, keywords in the title. Tick. Picture to accompany the article. Tick. This is placed before the call to anyone who has had a similar accident (or I guess, is involved in the very accident being discussed) to get in touch. Unfortunately the call for potential clients does nothing but undermine that stated sincerity. Hmm. I know what I think about this blog. Tell me, what do you think? Thanks to Kevin O’Keefe for highlighting this on Twitter. Speaking of which, check out the Twitter stream for the blog. A catalogue of car wrecks and places where ambulances will have recently been spotted. For all of my own distaste, look at his twitter followers. A full three times as many as mine. Ah, what do I know about law marketing or social media? Tagged as "bad legal social media"
I have always had a fiercely independent attitude. It is the legacy of too much indie music as a student and a Carter USM haircut. As a result I railed against the ubiquitous iPhone and signed up for the Android revolution. 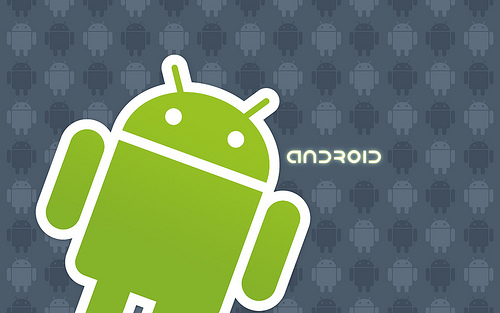 Android is a mobile phone standard created by Google. There is quite a bit of geekdebate as to which is better, iPhone or Android. It is like the C64 vs Spectrum playground arguments of the mid ’80s. Actually that analogy doesn’t really work. The open standardization of Android makes it more like the neglected MSX competitor. Only MSXes were crappy. And nobody had one or at least they never admitted to it if they did. Android though has already established itself as a credible threat to the iPhone empire. I am pleased to report also that application developers are increasingly developing Android versions of their apps now. For example, my best friend WordPress, have now provided an excellent blogging app that has enabled me to effortlessy ramble this post on my HTC Hero mobile while on the bus to work. So if you cannot bring yourself to join the Apple masses sign up for the Android revolution instead. The racing line is the optimum line to take through a bend on a race track. If I am facing a right hand bend then I will position myself to enter it from the left hand side of the track. I drift across to the right of the track as I am turning, with a view to clipping the right hand kerb at what is called the apex of the bend. I then allow myself to drift back out towards the left hand kerb, accelerating rapidly as the bend straightens out. The result is that I have “Straightened to the bend” allowing my firm to preserve fuel, minimise tyre and brake wear and maintain momentum. That is all well and good with a single bend. We emerge from the bend and resume our efforts back on the next straight stretch, business as usual. The problem arises when we adopt the same strategy without realising that there is not one bend, but two, the first to the right, as above, the second to the left. If we do not realise the situation then we are wrongly positioned as we reach the second bend. We are too close to the left hand kerb. We are wrongly positioned. It becomes impossible to straighten the bend as we did with curve #1. Our momentum and driving line will lead us to slam into the right hand wall, or need to take dramatic action to slam on the brakes and limp around the next bend. This is how I see the current challenges facing the law sector. The first bend was the recession. Get into position, downsize, reduce hours and wait for straight, wait for the recovery and carry on as you were. But then we realise too late that there is another immediate curve – The changed market place. There is no straight, there is no immediate reacceleration. Instead, for many firms, there will be an awful realisation that they have not anticipated the changes in the track ahead as they hit the chicane wall or take other evasive action. Big thanks to Jason Plant who thankfully provides some evidence for my more graphical approach on his excellent blog, No Option For Law Firm! which you should visit, right now, right here. Winding Up Lawyers? A Sign of the Times? Portsmouth Football Club face a winding up order today as requested by HMRC. This high profile application has drawn my attention to the Companies Court Winding Up List . As many readers will know, I am a family lawyer and so this is not my usual haunt. As I read through the list I noticed that there were two solicitors firms named as also facing winding up orders. I had a hunch about a third named company on the list which felt like it was probably a law firm, googled it, and yes, there is a law firm by the same name. That’s three law firms facing winding up orders in one day. Is that reflective of the times that many firms continue to face? I hope this is not a typical day for the profession. There is no reason why it should be. After all today’s list contains a total of 4 football clubs; Portsmouth, Hinckley, Cardiff and Southend, and I know that is not typical. All the same, the list makes for sobering reading. It is a litany of struggling organisations. Those organisations represent their owners dreams and aspirations. They employ hundreds of people between them. My thoughts go out to all who are about to be effected by the outcomes in the normally little heeded Court Room #56.